Sean, this error is likely a path issue. The tutorial assumes you running Debian, on other distros you may need to modify /etc/ld.so.conf to include the location of the OpenGL libraries. what should i write into the document? Is sound supposed to work? Didn’t for me, but then again I haven’t gotten any sound out of this thing yet. I’am alone with this message ? Hi Max, your definitely not alone! I will update the tutorial with additional mirrors! 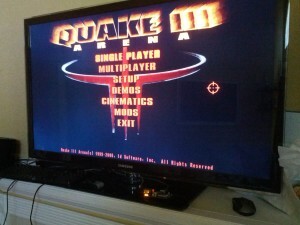 The quake3.zip comes down fringe from the server but there seems to be a connection issue for the Q3 Demo Paks.zip from the other server. Is this a known problem or is there an alternative server to get it from? Sorry about the spelling issues blame it on the crapple iPad! Hi Pidge, due to the intermittent availability of the zip files, I have update the tutorial with additional mirrors! Top man! All sorted! Thanks for your help, just had to ‘sudo’ the last three lines of code but it really is easy to instal! i dont understand the bit after you copy and paste the thing into terminal! help please! 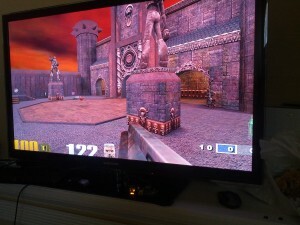 I’ve just installed Quake3 on the Debian “wheezy” public beta Image. I’m using debian6-19-04-2012. Any idea where I’m going wrong? Thanks. can’t seem to run the demo, is it supposed to work? I am having the same issue as Tim. Having the same issue. Any fix yet? Was there ever an answer here…same prob exactly. Works okay. Will do the right thing (and hopefully gain some optimization) and recompile when I get a breather. I get this error when I try to run it.